2018 San Diego Pride Parade – San Diego Pride Military Contingent. Tommy Wu Photography. Some of our movement’s earliest pioneers like José Julio Sarria, the first openly LGBTQ person to run for public office in the US, and Harvey Milk, the first openly gay man elected to public office, served in our country’s military before ever leading our community. 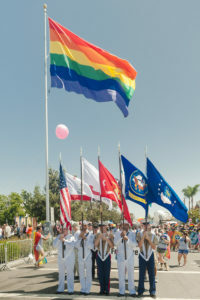 The San Diego region has the highest concentration of military personnel in the world, and the United States military has a higher percentage of LGBTQ individuals than the general population does; these are two factors that lead San Diego and San Diego Pride to have a huge impact on the visibility of LGBTQ servicemembers across the country. 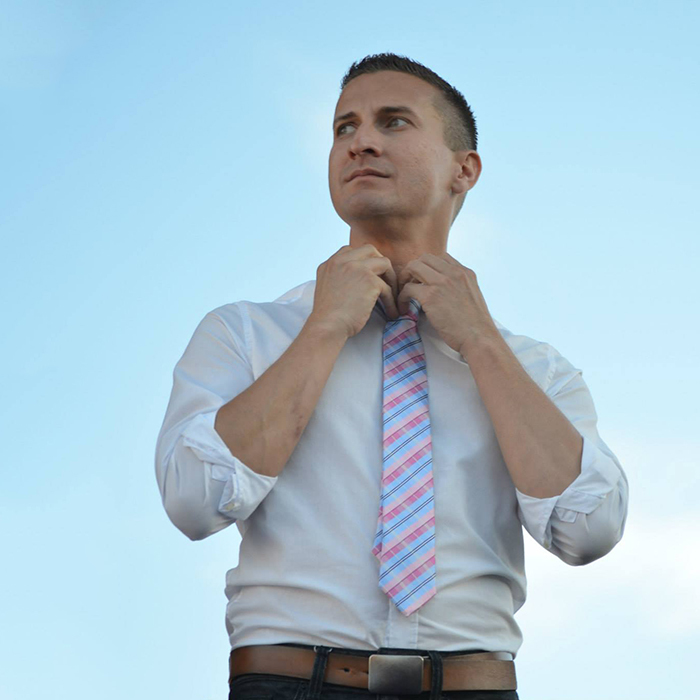 In 2011, a group of approximately 250 active duty servicemembers and veterans marched in San Diego’s Pride Parade a few months before the repeal of Don’t Ask, Don’t Tell took effect; those who were active duty still had to conceal their LGBTQ identities. In 2012, San Diego would go on to have the first Pride in the country with active duty service members in uniform, out and proud and with approval from the Department of Defense. In 2015, even before the ban on transgender troops was lifted, then active duty trans Marine Corporal Evander Deocariza proudly and openly carried the trans flag in our Parade’s Military Contingent Color Guard. Each success builds on the next, and each moment garners national visibility, all helping to educate and break down barriers. Despite this progress, we know that our LGBTQ service members still do not feel entirely safe and supported. There is still much work to do. Tuesday’s elections have us celebrating our LGBTQ and diverse victories all across the nation, especially the historic win in Massachusetts to protect transgender rights! Victories like the Massachusetts Yes on 3 campaign remind us what is possible when we build diverse LGBTQ coalitions and capacity over the long term. This week, as we enjoy these victories and as our LGBTQ vets walk openly in the Veterans Day Parade, we know that change doesn’t come quickly or easily. May we all continue to take lessons from our successes and recommit to the work our movement has ahead of us, as we all contribute to our collective legacy of liberation.